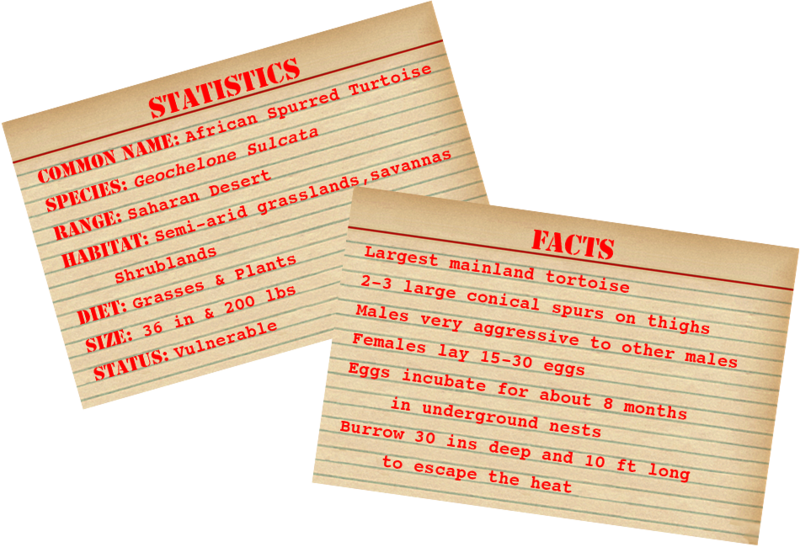 These tortoises range from 5-15 years in age. Their size is based not only on age but also on previous diet and care. 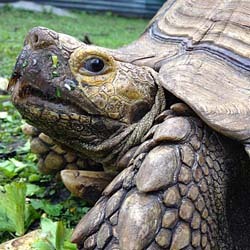 Every tortoise here is a rescue and has come from individuals who once kept them as pets. 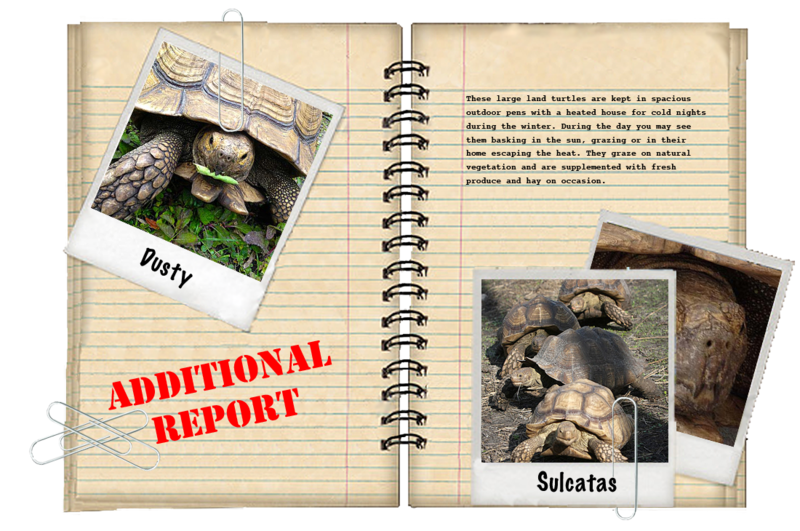 Our group of Sulcata tortoises is large, but Dusty is the original “donation tortoise”. During our weekly Petco Events, we came up with the idea to make the donation jar mobile by putting it on the tortoise to carry around! It was a hit and we have been utilizing the success of the donation tortoise to bring attention and money in to our non-profit. This cute site has even made the newspapers multiple times. Many ask if the donation bin hurts the tortoise and the answer is no. The large animal probably does not even know that the bin is on there. Plus the weight of a dollar bill is miniscule.